Fedopress, the state owned print service provider to the Belgian Federal Public Service FINANCE, produces over 25 million transactional postal items including Tax, Customs and Treasury documents for Belgian citizens. 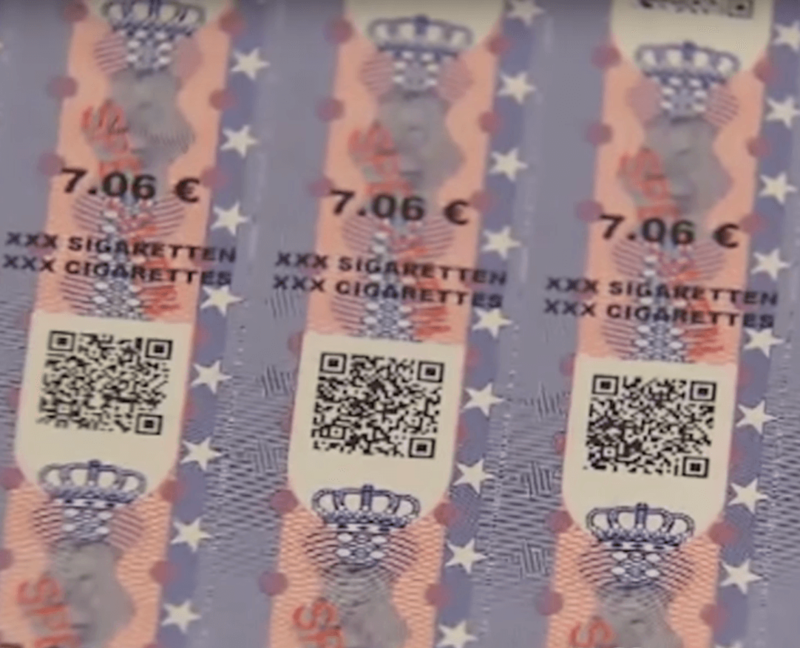 For over 40 years, the Belgian FPS Finance has placed tax stamps on cigarette packs and other tobacco products as proof that the excise duty has been paid. With the recent rise in cigarette prices there has been a steady growth in illicit trade, primarily due to the increased circulation of counterfeit tax stamps. This has resulted in a significant reduction in the revenue collected by the Belgian government. In March 2016, Fedopress started the production of a new and highly secure tax stamp, to stem both revenue losses and offer better traceability in the future. Being litho-printed, with the nominal tax value overprinted, large stocks of the old tax stamp often piled up to satisfy fluctuations in expected demand. However, with 7 differing formats, any changes to the old tax stamps resulted in significant wastage and further time-consuming and expensive reprinting. The FPS Finance knew that digital, on-demand printing of tax stamps onto security paper (incorporating the latest in security features) was the only way forward and commissioned Fedopress to find a solution. Following an in-depth tendering process, Bart Vanwijnsberghe, Director of Fedopress, opted for the Xeikon 3500 digital, 5-colour, roll to sheet printing press which was capable of printing on security paper at speeds of 19.2 m/min. It offered print resolutions of 1200 dpi, essential for printing security features such as micro-text, guilloche and fine line rasters using their chosen Arziro design software from Agfa Graphics. When producing in excess of a billion tax stamps a year, even a small glitch somewhere in the production process can severely impact the quality and more importantly the integrity of the tax stamps that Fedopress produce. “During our peak production period we could be producing in excess of 400,000 tax stamps per hour, each with a unique QRcode. At these speeds we had to make sure that all of our processes were efficient and that we are able to detect and rectify any errors immediately.” said Vanwijnsberghe. Using a specially formulated security UV ink, which fluoresces in a choice of colours, can be an effective, yet simple way to authenticate tax stamps. But ensuring that the UV ink is correctly applied to all tax stamps during production can be a tricky process. Prolonged exposure to UV radiation, even limited, can cause serious health issues and therefore UV light sources must be correctly contained to appropriate health standards. 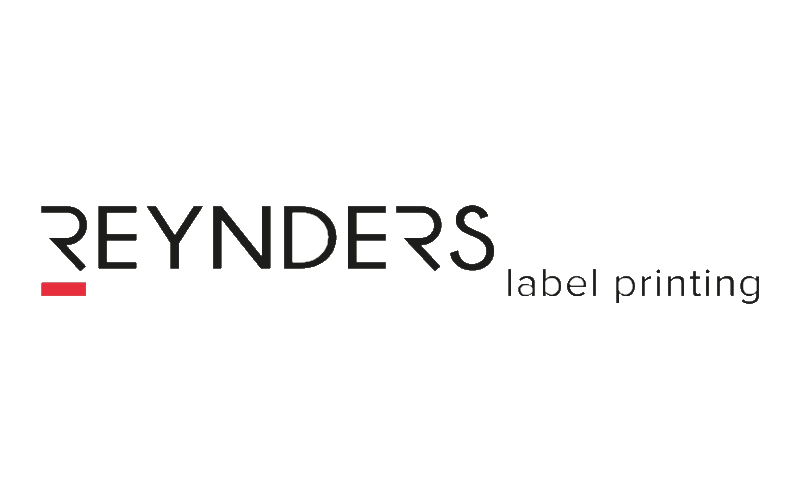 Furthermore, ensuring that every printed QRcode is readable, unique and is correctly logged into a database is an essential component of a tax stamp track and trace system – otherwise, the integrity of the whole traceability process can be compromised. One of the key reasons why Fedopress chose the 3500 printing system from Xeikon was because it came with an inbuilt inspection module option, incorporating technology from Lake Image Systems. The collaboration between Xeikon and Lake Image Systems has enabled Xeikon clients to benefit from an integrated “Print & Inspect” feature that required minimal additional equipment, installation, set-up and configuration. The Xeikon Inspection module includes the latest and most advanced variable data verification solution available today, namely Discovery Maxscan and Discovery Multiscan. Discovery Maxscan is an award-winning, revolutionary, low profile linear scanning technology with integrated LED and UV lighting that captures crisp, distortion-free images at a resolution of 600 dpi – ideal for high-security applications such as tax stamps. With a working distance of only 12mm (1/2”) and a maximum headroom requirement of less than 130mm(5”), Maxscan neatly integrates within the 3500’s transport system, without the need for additional rollers. 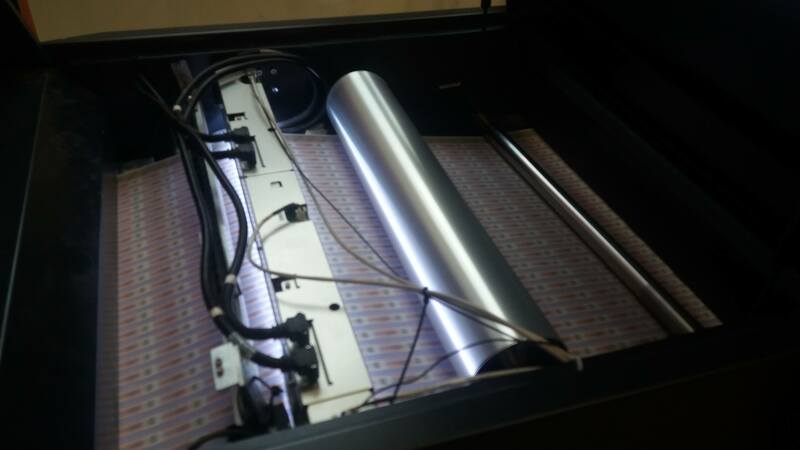 Importantly, it securely contains the UV light source to the appropriate health regulation standards. Together with Lake’s highly acclaimed Discovery Multiscan software, the inspection module provides the perfect solution for verifying the presence of UV fluorescent ink and also reads, verifies and logs every QRcode on tax stamps, printed 24 across, 360 to a sheet and at rated press speeds. When an error is detected, Discovery Multiscan alerts the operator, immediately stops the press and logs the nature of the error. “I was already familiar with Lake’s reputation prior to selecting the Xeikon so I was pleased when this integrated solution was offered to us,” injected Vanwijnsberghe. After a year of production and after printing over one billion tax stamps, the inspection system is now an integral part of the Fedopress tax stamp operation. The solution has proved to be highly successful in helping Fedopress to inspect and validate the integrity of every tax stamp. “To date we have had zero failures. This gives us tremendous reassurance that our production processes are performing well and that we are not producing defective tax stamps which would normally create issues for our enforcement agencies downstream.” said Vanwijnsberghe.